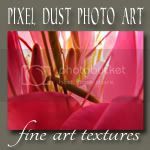 Pixel Dust Photo Art: Almost time for Your Sunday Best! 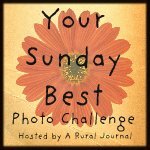 The creative Nancy, of A Rural Journal hosts Your Sunday Best photo challenge each week. She invites us to post our favorite photo from our posts of the past week. I have decided to feature a photo from this post. Scroll down to check it out. I have to admit I photographed this flower at the garden center and I am not sure what it is! A camellia is what comes to mind. Whatever it is, it is lush and lovely even though a little worse for the wear around the edges. 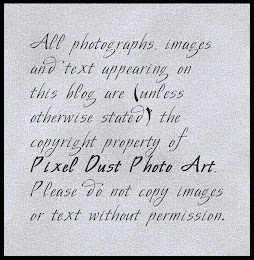 I have added one of my textures (one not yet released), and I love the effect achieved. Here's the "before" photograph, shot with a point and shoot. Here's the "after". To my eye it looks a bit like an old Dutch master painting. Isn't it amazing what one can do with a little photo-editing and a fabulous texture?!! Speaking of textures, Nancy is doing a little more than hosting Your Sunday Best this week. 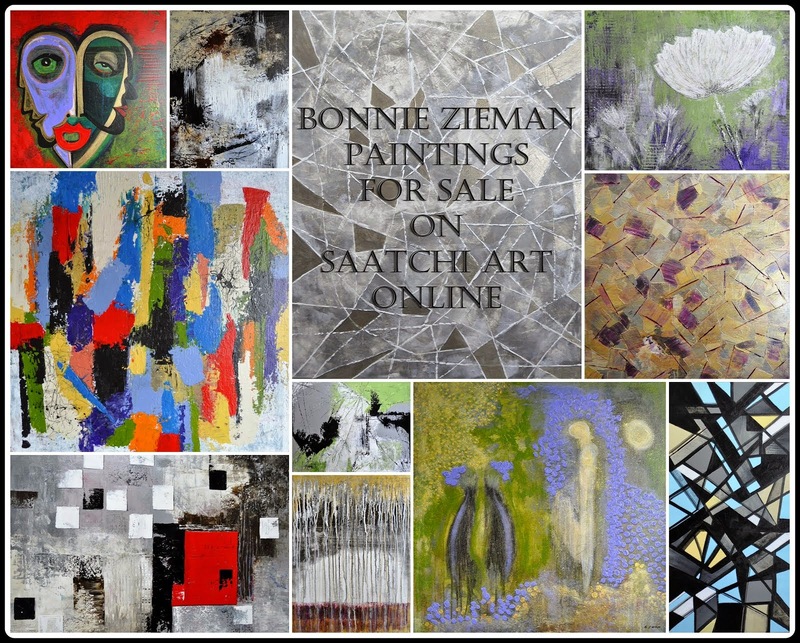 I have it on good authority that she is also hosting a great giveaway. If you have never featured one of your photographs in Nancy's photo challenge, don't worry - she is very welcoming and has a Your Sunday Best button under her header explaining how easy it is to link up one of your photographs with all the others. Then the party begins - with a lot of commenting back and forth! Enough said. Scoot right on over in "your Sunday best" to Nancy's A Rural Journal. She always has a visual treat, an opportunity for sweet, creative connections and, occasionally, a delightful surprise in store. Nancy opens up her linky tool Saturday evening for those of us who can't wait until Sunday! See you there! Thanks for the fun challenge! I will be doing it too. Your flower looks so nostalgic and sweet. Very nice treatment on your photo Bonnie. I agree with you that it has the feeling of an old Dutch master painting. I can't wait to try it out myself. And thanks for the link to A Rural Journal... sounds like great fun. Have a happy weekend! Cheers. I love the way the texture you added gave it such a nostalgic feel to it. I do believe though the flower is a Hibiscus. It looks a lot like what we have in our backyard. Beautiful two photos. The original is very good too, exquisite. 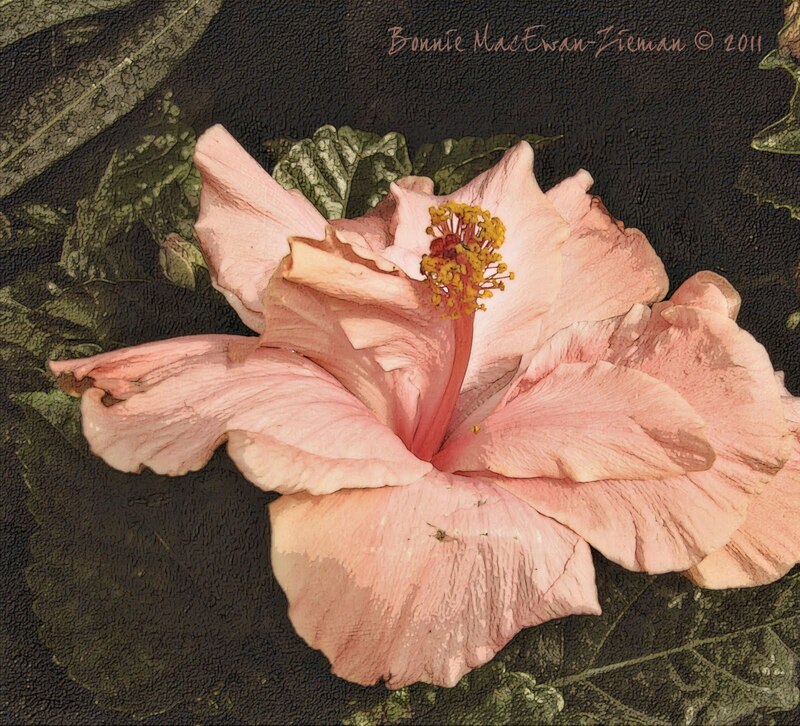 I love hibiscus! Great shot even before the editing. Beautiful, Bonnie! Before I learned how to add textures in PSE from Kim Klassen, I knew only about the filter presets. Love the look of this fabulous hibiscus blossom! I have never tried to add textures before, but your picture gives me inspiration. 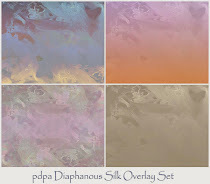 thank you so much for sharing your lovely textures! i can't wait to try more of them.